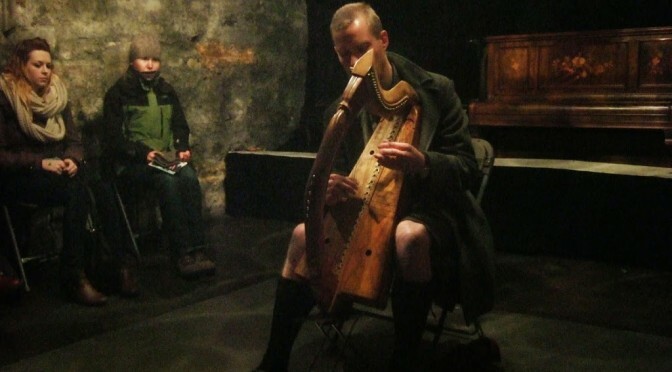 Last night I was playing at the Hidden Door festival in Edinburgh’s old town. The festival itself was amazing, a beautiful collaboration of installation arts and performing arts. I loved the spontaneous nature of everything, and the DIY volunteer ethos of the festival organisers and the people running it on the ground. You do not find anything like this in St Andrews. Everything was set in disused vaults on Market Street – bare, spartan stone underground caverns. Some of them were music venues and some were spaces for art installations. I was particularly intrigued by an art installation in a completely blacked out vault, which consisted of a garden of lichtsuchende, robot plants, light sensitive and light emitting – torches were provided by the entrance curtain. There was also a very nice exhibition in another vault of framed collage pictures by Miriam Mallalieu on the theme of lichens. Some of the colours and structures in these images reminded me of some of Ealasaid’s work. 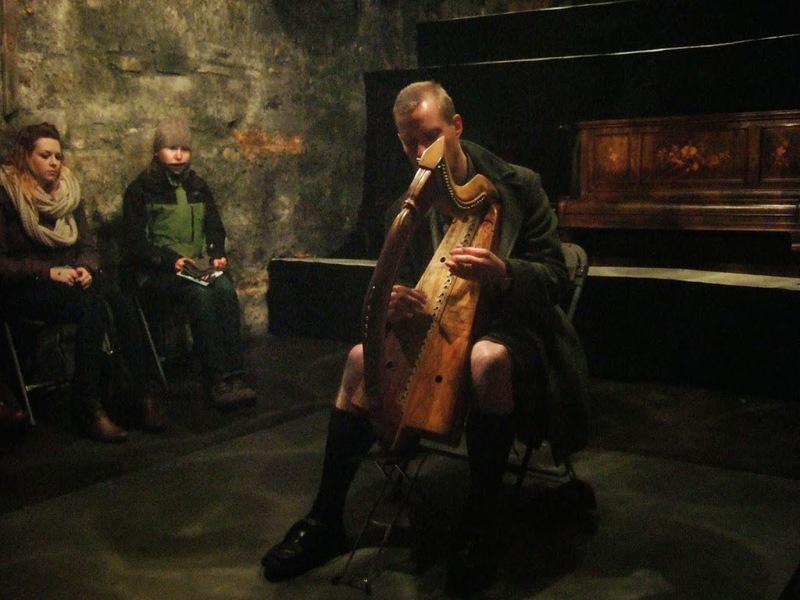 I played in one of the vaults, which was a “hidden” music venue in amongst the installation art vaults. Unsuspecting art-lovers stumbled in and listened to some of the Tarbh music before leaving to explore the next installation. Sometimes I felt like some kind of strange robot flower in the centre of the vault, beneath a star-like lighting installation, playing this weird meditative music to an audience unprepared to hear it but open to new artistic experiences.